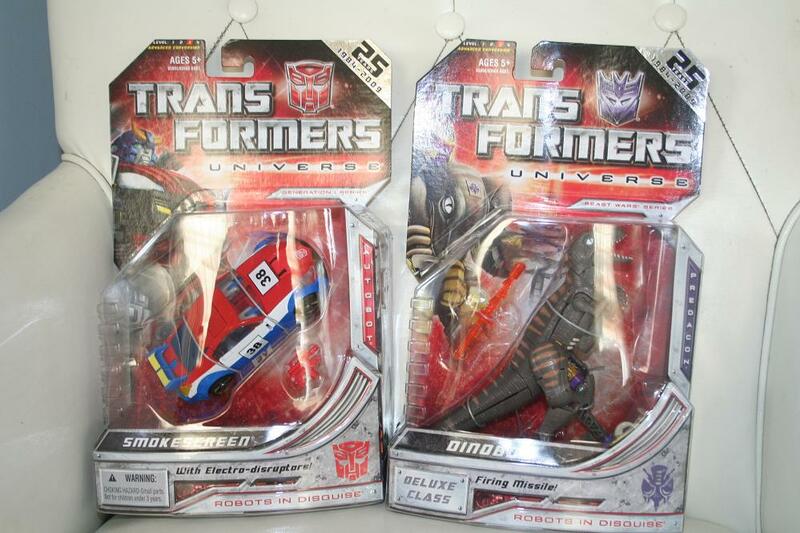 The latest wave of Transformers Universe Deluxe figures is turning up all over now, though the thrill of finding our set in the wild a few weeks ago never gets old! 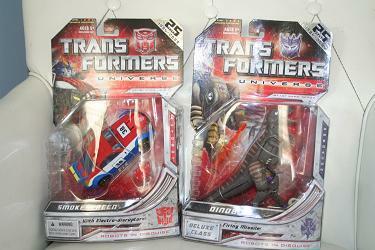 This set features Smokescreen of G1 fame and Dinobot who harkens from the Beast Wars era. Full galleries and bios for these two figures are coming soon, but here's a sunny picture of the pair in case you aren't tired of seeing them on store shelves quite yet!